With Lew Wallace’s 1880 novel Ben-Hur: A tale of Christ spawning a 1907 and 1925 silent film, the 1959 Oscar Winning epic we all known and love, and a 2003 animated feature I only just found out about that somehow saw Charlton Heston reprise one of his most famous roles, going after Timur Bekmembetov’s new version of the classic story for being a remake is a bit redundant at this stage. And any way, this is a “reimagining”, a “re-adaption”, a “new interpertation”. But what does that mean exactly? Well, if Ben-Hur 2016 is anything to go by, it means generic, soap opera-esque story telling, and clinging onto the memory of the past. 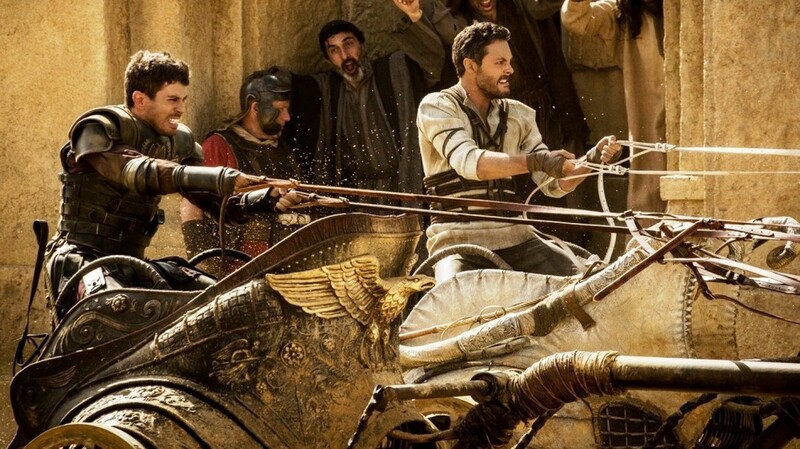 Some changes have made to the original story, with Jewish nobleman Judah Ben-Hur's (Jack Huston) long-time friendship with adoptive brother Messalla (Toby Kebbell), a soldier in the Roman army, shattered when he is betrayed after taking the blame for an assassination attempt on Pontius Pilate, his family sentenced to death, and he himself forced into slavery aboard a Roman galley. In the preceding five years, Ben-Hur’s thirst for revenge grows stronger and stronger, and when his galley is destroyed, essentially granting him his freedom, he sets out to exact it upon his former best friend. Pretty familiar story, isn’t it? Not just from the originals, but from nearly every film of this ilk. It’s a simplifying of Wallace’s classic tale, possibly for an audience who couldn’t care less about a swords and sandals epic in this day and age, but by streamlining this particular sprawling narrative, screenwriters Keith Clarke and John Ridley have rendered it dull and pointless . Falling back on well known tropes and plot devices, and taking every opportunity to remind us of the 1959 version (can studios please realise that if you want people to stop ragging on your movie for being a remake, stop referencing the original all the time), the movie’s 128 minute run time feels even longer. 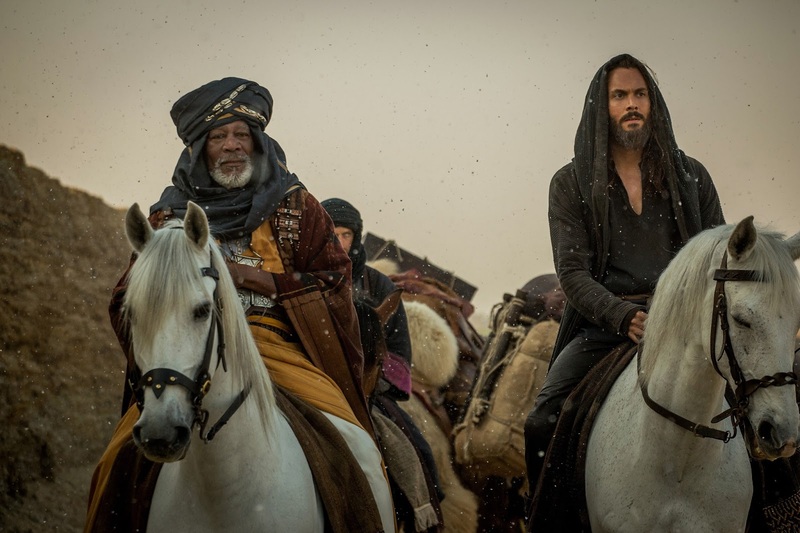 Events and post points seem to happen for the sake of happening, especially Messalla transforming into a hateful, cartoonish villain at the drop of a hat, and Rodrigo Santoro’s Jesus just feels shoehorned in, his presence not really needed for the impact he has on the plot. The actors sadly can’t make the script work either, with Huston lacking the charisma make you feel anything for our supposed hero. He just slouches from one scene to the next, failing to make any sort of impact. Kebab also can’t sell his character, and I never really saw him as a threat. The rest of the cast, especially Nazanin Boniadi as Esther, just melt into the background, and Morgan Freeman is just there as Nubian Shiek Ilderim (to my mind only referred to as the African which is somehow worse than Hugh Griffith playing the role in brown face in 1959). That’s the best way to describe his role here, he’s just there, fulfilling nothing more than the generic mentor role. I do like Bekmembetov as a director, he has a unique, refreshing visual style and given the right script he can build some powerful stories. Unfortunately, he wasn’t the right director for this movie. Sure, he does deliver some fantastic visuals (that are admittedly marred by bad CGI), he can’t find the heart this story desperately needs. After the end credits rolled, I was under the impression he was only brought on board for the climactic chariot race. There’s a glimpse of it in the film’s opening, and you always get the feeling we’re just marking time till we properly get to it. Running for a full ten minutes (just like in Charlton Heston’s version), it is an absolute spectacle, chariots clash and bodies are squished with cameras placed seemingly everywhere on the coliseum set to give it a real sense of scale. The sequence give the movie a shot in the arm it sorely needs, but it comes far too late. Having no reason to exist other than it’s just a name people know, Ben-Hur is a lifeless rehash of a bonafide classic, and no brief flashes of spectacle can save it.